Theologian Lewis Sperry Chafer and his mentor C.I. Scofield are credited for the spread of dispensationalism in America and throughout the world. Now you can add ten of Dr. Chafer's foundational works on dispensationalism, grace, salvation, evangelism, the end times, and his summary work of 52 doctrines in Major Biblical Themes. Theologian Lewis Sperry Chafer and his mentor C.I. Scofield are credited for the spread of dispensationalism in America and throughout the world. 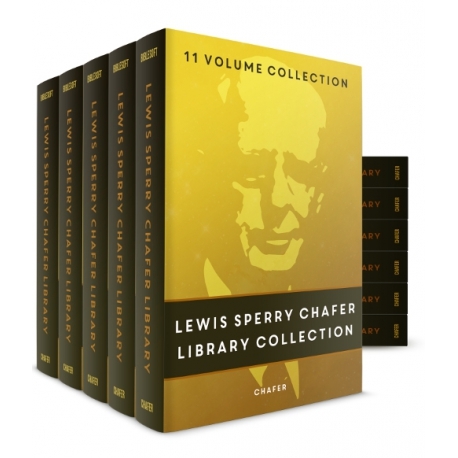 Through the founding Dallas Theological Seminary and the Bibliotheca Sacra journal, Chafer has led the reformed faith movement and had a vital role in encouraging the works of next generation theologians Charles Ryrie and John Walvoord. 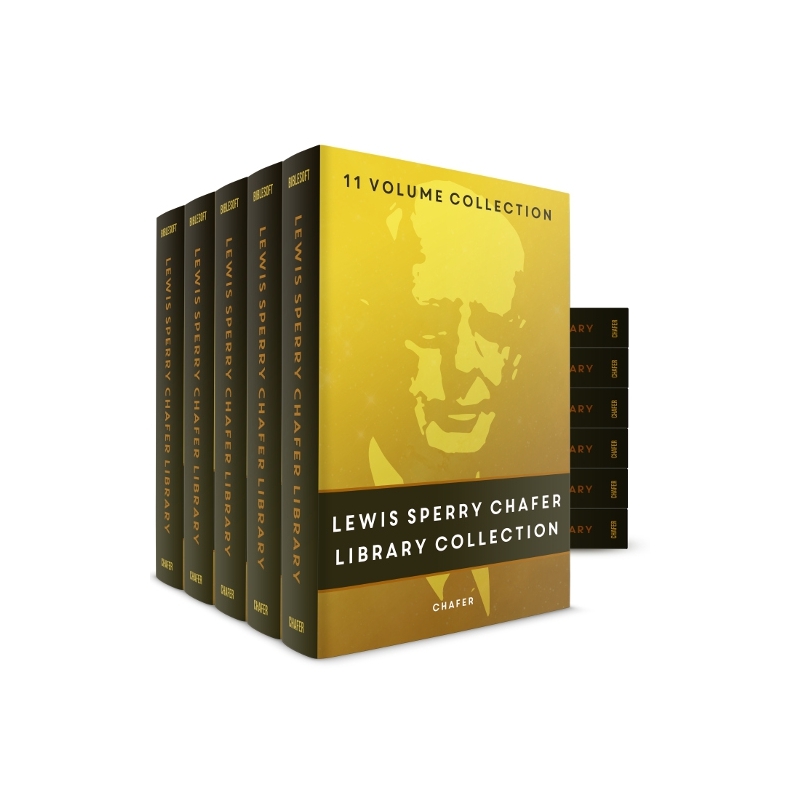 Now you can add ten of Dr. Chafer's foundational works on dispensationalism, grace, salvation, evangelism, the end times, and his summary work of 52 doctrines in Major Biblical Themes. Building on the works of J.N. Darby, Charles H. Mackintosh, William Kelly, F.W. Grant, and others who developed what is known as the Plymouth Brethren movement, Chafer builds a case for the greater transformational power of the Bible when dispensational distinctions of innocence, conscience, government, promise, the law, Grace, tribulation, Christ's kingdom of millennial reign and a new eternal heaven and earth are observed. Understanding the seven dispensations is necessary to rightly divide the Word of God. Chafer's work has been instrumental in helping generations of pastors and lay leaders teach God's work of the past, present and his future kingdom. Chafer deals systematically and thoroughly with the doctrine of grace. The text is extensively indexed by subject and Scripture reference. Few books have been more warmly received by Bible teachers and students. He That is Spiritual defines true Christian living and unfolds the biblical teaching concerning spirituality what it is, and how it is secured. Nothing could be more important to Christians than the theme of this book. Its sound teaching corrects many false impressions and presents a scriptural pattern for the full life in Christ. Provides the biblical basis for 52 doctrines, complete with topical and Scripture indexes. Questions for discussion and review follow each chapter. Topics include the Holy Spirit, the nature of the Church and the Second Coming of Christ. A revised and enlarged edition of a work originally published in 1926. Must We Dismiss the Millennium? In producing this brief volume, Chafer decried the lack of biblical precision in interpreting the book of Revelation -- particularly in terms of works focusing on prophetic interpretations of chapters four through twenty. He maintained that the message and applications of Revelation are clearly knowable and must be taught and understood in the biblical truth. The reason for this volume was to present a case against Rev. Eugene Caldwell's pamphlet which essentially dismissed the biblical teaching on the millennium of Christ's rule and events leading up to it. Chafer's work reestablishes the millennium to its full place of significance and relevance in eschatological thought and teaching. Lewis Chafer was passionate about salvation and its correct interpretation and presentation in preaching, and more importantly sharing of the Gospel of forgiveness in Christ. In this succinct volume Chafer places the word and concept of salvation, underlines it with God's view of the plight of the lost, and fully develops the fullness of God's message and value of the cross to the unsaved. In Chafer's day, as today, it was not hard to lose track of the existence and work of Satan. This volume corrects flawed and unbiblical thinking about Satan, and teaches that a healthy knowledge of the enemy of God's people is the best defense to the spiritual destruction he designs and carries out. A verse-by-verse exposition of this pivotal epistle from the apostle Paul. Chafer exhorts Christians to be faithful to Christ in their work and relationships. "'Thy kingdom come. Thy will be done in earth, as it is in heaven.' The kingdom revelation is a distinct body of Scripture running through both the Old Testament and the New and its study, of necessity, leads to some definite conclusions touching the meaning of much unfulfilled prophecy, the two advents of Christ, the present age of Grace and the future of both Jews and Gentiles." With this urgency of mission Lewis Sperry Chafer opens this volume tracing the absolute confidence that God will not be deterred by anything in completing his kingdom. The reason for this confidence is found all throughout the Old Testament and with divine precision fulfilled in the New Testament. Chafer's work, well ahead of its time by any standard, comprehensively explores God's direction of history and prophecy and fulfillment in the past, present and future. A classic that expounds biblical evangelism by explaining topics such as false forces in evangelism, salvation as the objective in evangelism, and conviction by the Spirit. This unabridged study of systematic was originally published in eight volumes and later combined into four. Subjects in order of presentation include: Prolegomena, Pibliology, theology proper, Angelology, Anthropology, Hamartiology, Soteriology, Ecclesiology, Eschatology, Christology, Pneumatolgy. Widely regarded as the first of its kind dispensational, premillenial systematic theology, Chafer planted the flag for dispensationalism which would be expanded upon by the growth and influence of Dallas Theological Seminary, its theological journal Bibliotheca Sacra, and notably Charles Ryrie and John Walvoord who further refined and applied the theology of dispensationalism in their own research, writing and instruction.